Click on any sport above to see a full schedule for that sport. The Cardinals defeated Winona March, 22nd by a score of 28-0. 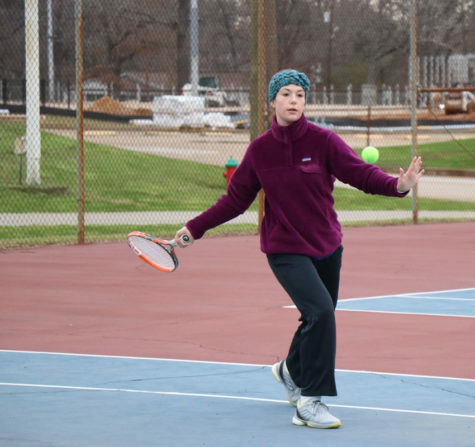 Junior Julie Darby works on her forehand during the practice for the Feb. 8 tournament.